Kathy Deinhardt Hill was raised in Priest River, Idaho. After graduating from the University of Idaho in 1975 with a degree in journalism, she went looking for a job. On her way to Boise for an interview, she stopped in McCall and never left. She began teaching English at McCall-Donnelly High School in the fall of 1975 and retired in 2008 after 33 years in the classroom. 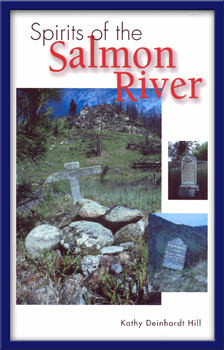 Deinhardt Hill's first book Spirits of the Salmon River was published in 2000. Since then, she started her own publishing company, Big Mallard Books, which produces books about Idaho.